Do you have chipped, worn, or stained teeth? Do you ever feel embarrassed of your smile? 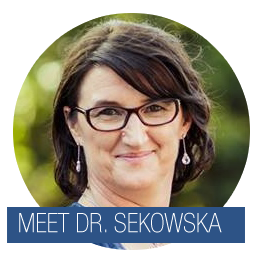 If so, we encourage you to ask Dr. Katarzyna Sekowska about cosmetic dentistry. Dr. Katarzyna Sekowska is one of the best dentists in Chicago, and before performing any cosmetic dental service, she will hold a cosmetic consultation with you. During this appointment, our dentist will discuss your smile goals and dreams with you. Our dentist and team will ensure that you understand all of your options so that you can make an informed decision about your beautiful smile.